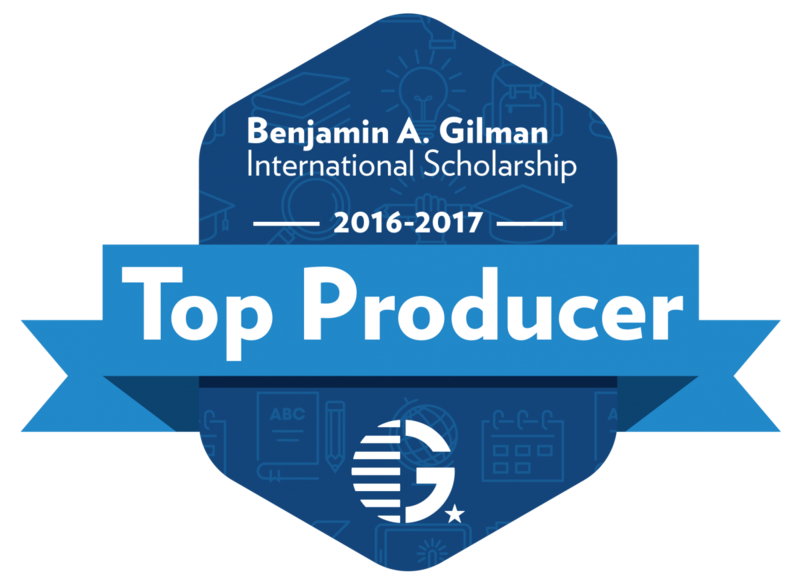 UNH has been named a Top Producer of Gilman Scholars. The U.S. Department of State has released its list of the colleges and universities that sent the most students overseas via the Benjamin A. Gilman International Scholarship Program, and UNH has made the grade. UNH was recognized for its success in making international study and internships more accessible for American students of all backgrounds through the Gilman Program during the 2016-2017 academic year. In the category of medium-sized colleges and universities with between 5,000 and 15,000 undergraduates, UNH was among the top 10 institutions, with 13 Gilman awardees in that year alone. The Benjamin A. Gilman International Scholarship Program aims to make study abroad more accessible by providing scholarships to outstanding undergraduates who, due to financial constraints, might not otherwise participate. “The Gilman Scholarship has had a significant effect on our students’ ability to study abroad and, by virtue of the service projects that they do after they return, is having a multiplier effect on interest in study abroad and applications for the Gilman Scholarship,” Sokolowski says. Interested in exploring a Gilman Scholarship? Visit UNH’s Office of National Fellowships for application information and deadlines.